Chuck and Ruby were going to meet at a hotel for their anniversary dinner, but Ruby didn’t show. Chuck was angry and left her a passive aggressive message on their kitchen table in the form of fifteen matchsticks spelling “hotel” and went to bed. When Ruby got home and saw the matchsticks, she removed one and went to bed. When Chuck woke up the next morning and saw Ruby’s new message, he realized his mistake. Which stick did Ruby remove and what was the new message? Ruby had removed the top of the T and the new message could be seen upside down from where Chuck sat at his breakfast of sadness and anger. What he saw was 7 3 1 0 4, or 7/31/04, the date of their anniversary. In his excitement, Chuck had gone to the restaurant a day early, on July 30th. All was forgiven by both parties and Chuck and Ruby had a wonderful dinner together. They also promised to buy a whiteboard for the kitchen so they wouldn’t have to use matchstick messages ever again. 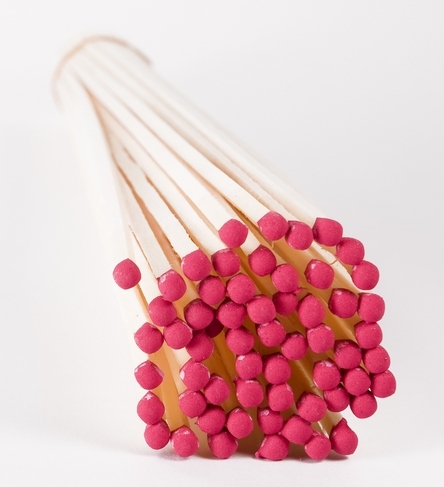 7 Comments on "The Case of the Missing Matchstick"